a beary birthday, a photo by eatzycath on Flickr. 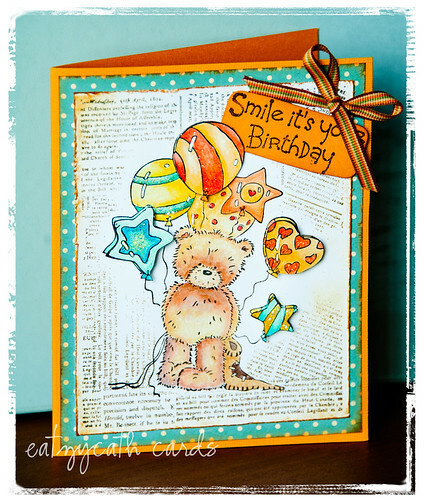 This is the first of my Popcorn the Bear cards - the cute bear with balloons come from the Smile stamp set. * birthday sentiment was stamped on orange cardstock, cut and affixed - final touch, a stripy ribbon in matching colors!